On April 30th 1943, a Spanish fisherman found the body of a British officer in the cold waters of the Atlantic, just off the coast of Huelva. 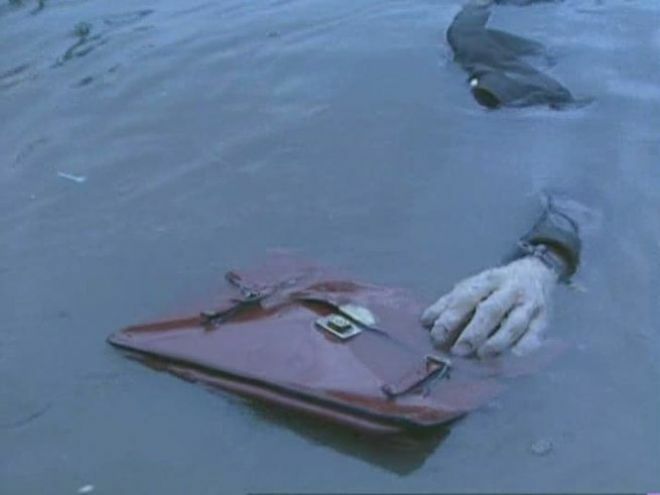 The body, apparently the victim of drowning and dressed with the uniform of the Royal Navy and a life-jacket, had a leather briefcase attached to its wrist. Without delay, the man went back to port and reported the finding to the local authorities, who carried out the autopsy and the identification of the deceased. It was Major William Martin of the Royal Marines, probably the victim of the shipwreck of some boat or submarine. In addition to its identity card, among the documents found in the briefcase and in the pockets of the uniform, there were several private papers of the soldier: a jeweler’s receipt for the purchase of an engagement ring for his girlfriend Pam, a picture of the girl, the letter from a bank demanding the client to solve an overdraft of 73.19 pounds in his account and the stubs of two tickets for a ball-dance in London dated on the 27th of April. More important were the contents of the wallet, top secret official documents. Nothing out of the ordinary in times of war, except that Major William Martin never was. Once the defeat of the Afrika Korps was sealed by British and American forces, Supreme Commander Dwight “Ike” Eisenhower mulled with his staff over the next step against the Nazi war machine. Everybody knew that the best target was Sicily, barely 100 miles from the coast of Tunisia, already occupied by allied forces. In addition to its proximity to the Italian peninsula, from this island it would be easier to control the Mediterranean’s shipping lanes, essential for the communications of the British Empire and the supply of its troops in Egypt and the Middle East. The problem was that the Germans were also aware of the strategic importance of Sicily and, if nobody did anything against it, they would reinforce the island. If Eisenhower wanted the invasion to be successful, something had to be done to fool the Germans. Enter into play two crucial characters for this story. Flight Lieutenant Charles Cholmondeley and Royal Navy Intelligence Officer Ewen Montagu had something in common and it is that the first one had never flown an airplane and the latter had never been at sea. They also converged in their jobs during the war, working for the British counter-espionage unit, directly reporting to Prime Minister Winston Churchill, who asked them for a solution to the High Command’s dilemma. They began the planning of “Operation Mincemeat” and only a week later made their proposal based on a suggestion made a couple of years before by another intelligence officer, Ian Fleming, who had created a list of possible actions to mislead the enemy if necessary. 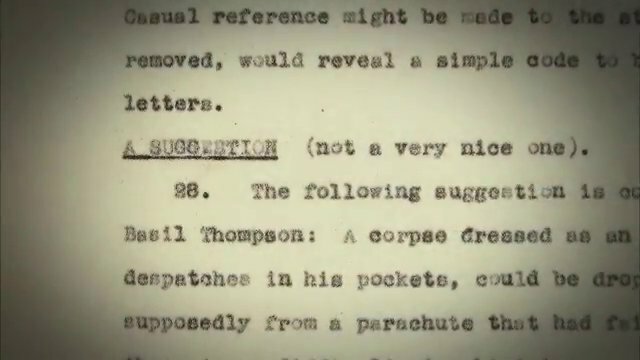 In number 28 on the list, the future creator of James Bond proposed to drop from an airplane the dead body of a soldier, loaded with false documents that would lead the enemy to believe in non-existing operations and, therefore, distract him from the real objective. The perfect place, they thought, would be near the coast of Spain, where it was certain that German intelligence worked freely under the regime of General Franco and close to the main known shipping lanes used by the British. The Atlantic coast of Andalusia fulfilled both requirements. Once the operation was given the green light and the place decided, the first hurdle was to find the body and, not just any body, since Montagu knew that an autopsy would be carried out and that it necessarily had to determine death by drowning, otherwise alarms would go off in German intelligence and the lie would not work. To solve the predicament, the team recruited the renowned pathologist Sir Bernard Spilsbury who, after a long search, found in London the body of a thirty-something year-old man deceased recently with signs of pneumonia. According to the medic, the water in the lungs that characterize such ailment could be easily mistaken as sea water. While the rest of the operation was being prepared, the body was kept cold, waiting for its mission. But the body was only an element of the hoax. If they wanted the Germans to believe without a doubt that it was a real man, they had to give him an identity and build him a real life. The name chosen was William Martin, his position, liaison officer of the Royal Marines. Putting themselves in the shoes of the enemy to guess their reaction before the finding, Montagu knew that German intelligence would not bite the hook if the information did not come from high up sources. With this in mind, he recruited the help of two senior officers in London, who wrote letters to their commanders in North Africa and the Mediterranean, in which they subtly spoke about allied intentions of invading Sardinia and Greece, not Sicily, although they wanted the Germans to see it that way. It was the work of geniuses which used reverse psychology to complete the lie. Major Martin was ready to go to war. 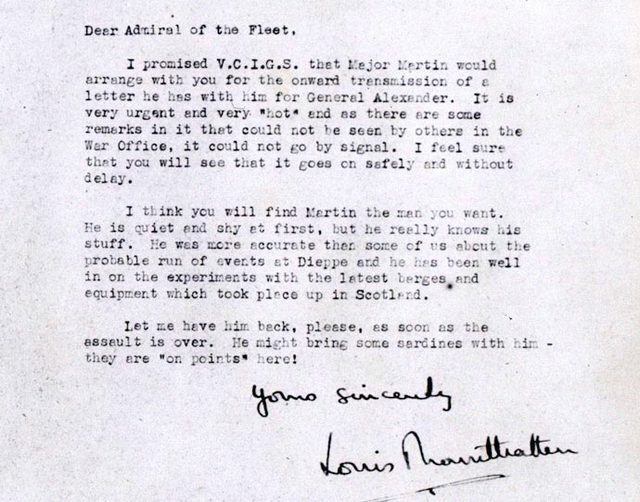 That Spring morning, when the submarine Seraph released the body of “William Martin”, his fictional biography read that he was an expert on landing craft, necessary for the type of operation planned. All the tricks carried by the body made his life and death credible. From that point on, it all depended on the gullibility of the enemy. On the night of 9th July 1943, Operation Husky, the invasion of Sicily, began. American and British forces did find resistance from its Italian and German defenders, but nothing compared to what was expected. By 17th August, the last German troops left the island. 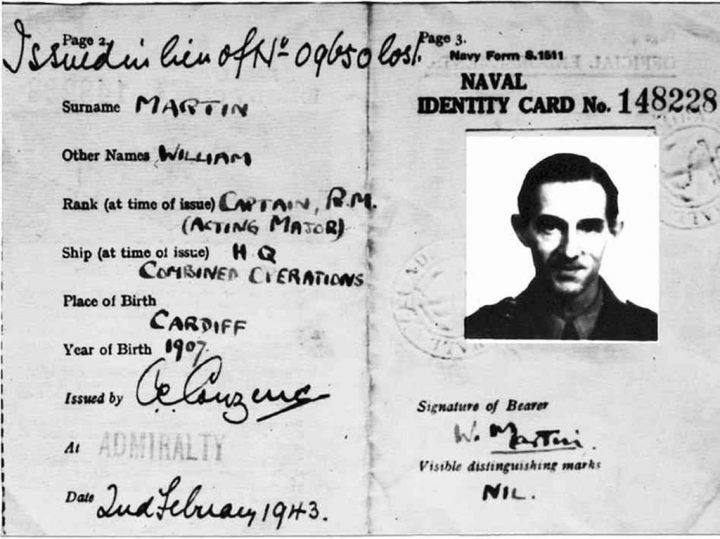 Major William Martin and Operation Mincemeat had achieved their mission. At the end of the war, the allied intelligence officers who reviewed German files confirmed that the Nazi leadership had believed in the veracity of the documents found in the body of The Man Who Never Was. Years later, an amateur historian discovered the real identity of the body used in the mission. It was Glyndwr Michael, a homeless man who had tried to join the army to defend his country but was rejected because of his failing health. If in life he couldn’t achieve his patriotic zeal, death brought it to him. And remember, if you like this post, you can share it with the buttons below, or you can find more here or in the tab on the top menu. Thank you! Operación Bodyguard, el arte del engaño.